If you are tired of seeing always the same kind of skeletons, take a look at this mod! 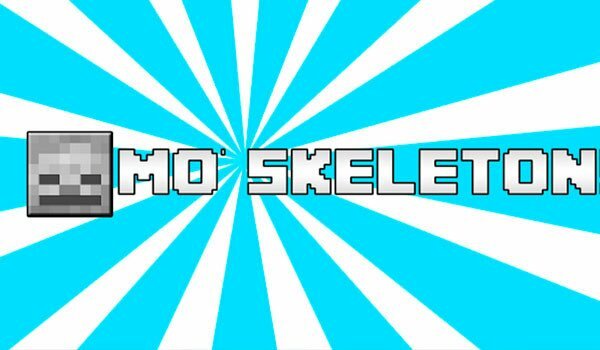 Mo’ Skeletons 1.7.2 and 1.7.10 is a mod that adds a total of up to 17 new kinds of skeletons in Minecraft. Each of these new skeletons has their own unique appernance and moreover they possess special skills and features differents from the others. This new skeletons are related to certain biomes, so, to find out the different kinds of skeletons, you will have to explore the world. After killing them you will get bojects or pieces of armor, as wlel as new kinds of swords. If you like the idea of having a wide range of variants of the same mob, like in this case skeletons, you can also take a look at the mod Mo ‘Zombies, which adds different kinds of Zombies in Minecraft. How to install Mo’ Skeletons Mod for Minecraft 1.7.2 and 1.7.10? Be careful! Up to 17 new types of skeletons are wandering around!